Style Crescent: Clinique Stay-Matte Foundation.. 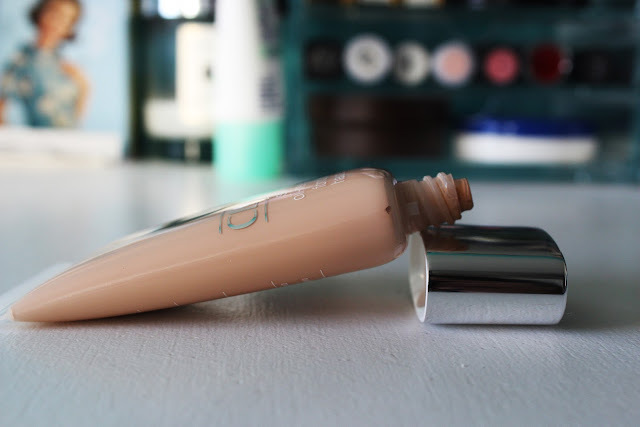 So, onto today's post, it's my first product review and I thought I would do it on one of my newest foundation purchases. Now, I am a MAC Studio Fix girl all the way, I haven't ventured out of MAC full coverage foundation for a long time! Recently I felt it was just a little too heavy for me to be wearing every day and my skin was starting to hate on me for it! I then came to the conclusion that I should get a lighter foundation for the daytime to give my skin a little rest, I also have acne prone skin so I wanted something oil free, and also something that gives a matte finish. So..da dahhhh here brings the Clinique Stay-Matte Oil Free Makeup. If I am feeling like I need a little more coverage or if I'm not feeling like I have got great skin one day I will add half a pump of my MAC Studio Fix, this will give it that little something extra to build up the coverage of this foundation. However overall the coverage is not too shabby! If you are on the hunt for a new foundation definitely check this baby out, it's light and perfect for Spring! It definitely wont provoke those bad boy spots that seem to pop up at the worst times! I would suggest wearing a primer with this just to keep the longevity of the foundation, I haven't tried this foundation without using a primer so it may not work as well.. but I will leave that up to you guys to try out what works best for you! Hope everyone has enjoyed their Monday, 4 more days till the weekend! Ahhhh. Thank you so much for your lovely comment :D Just checked out your blog and love it :). I'm gonna have a proper look through now!